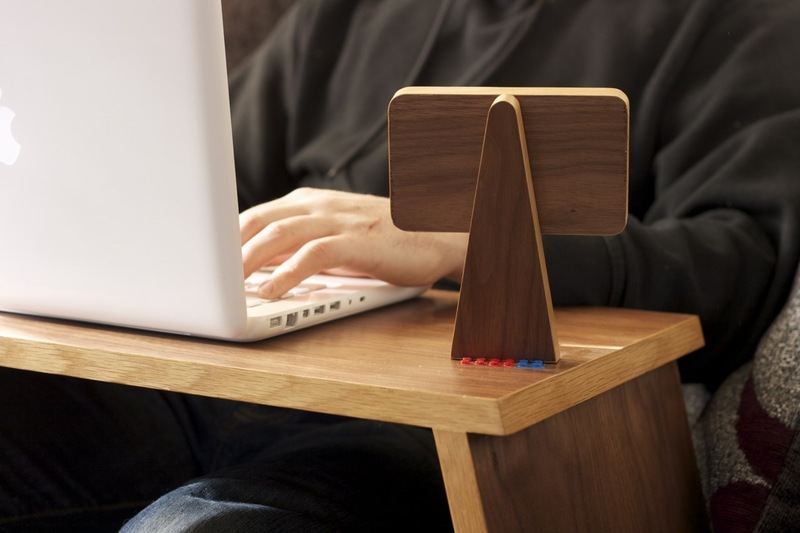 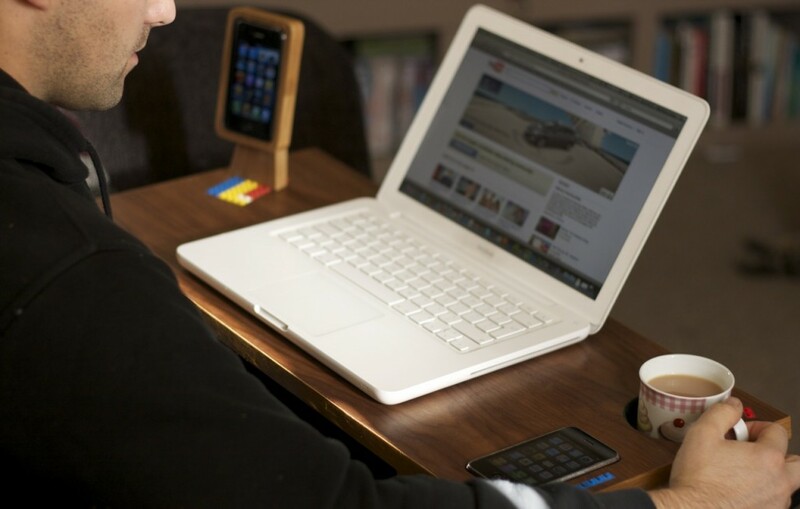 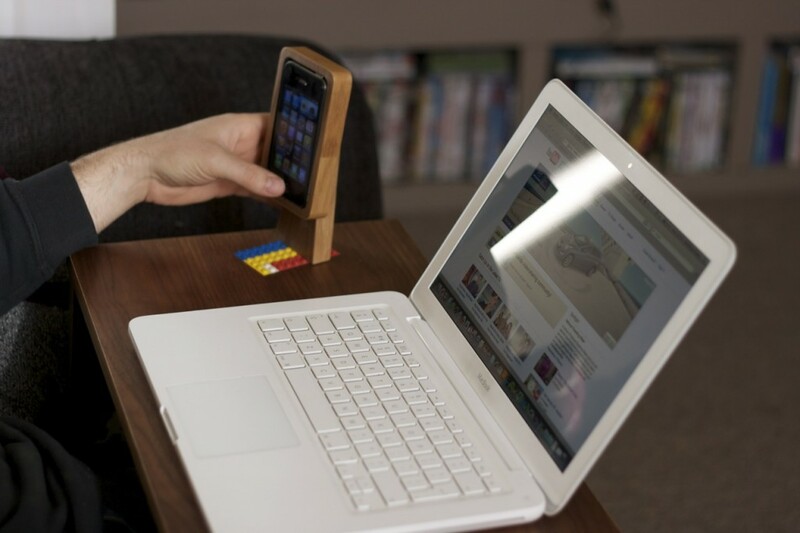 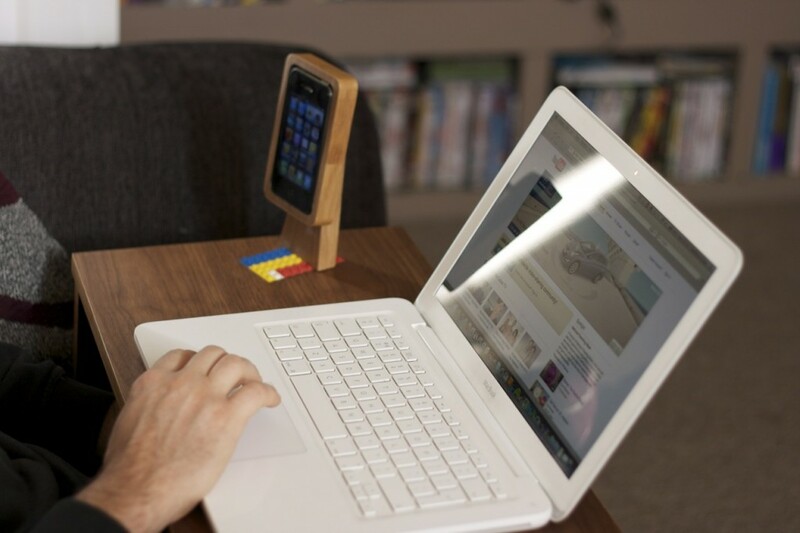 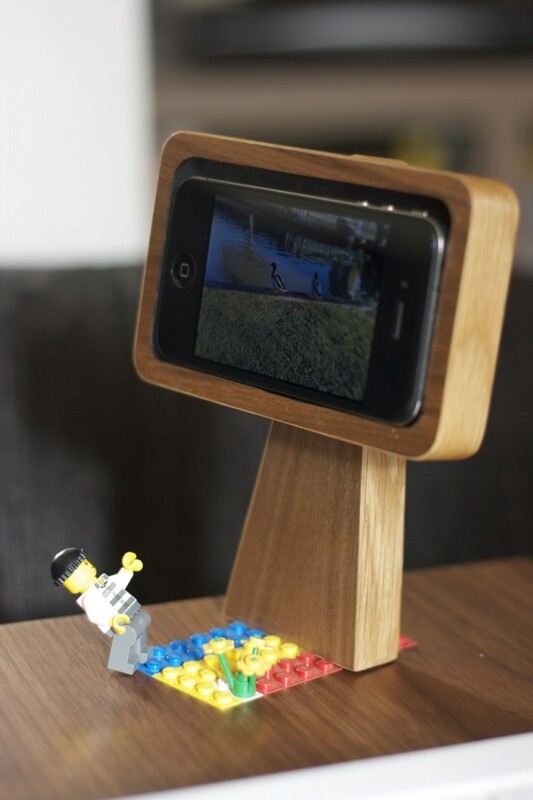 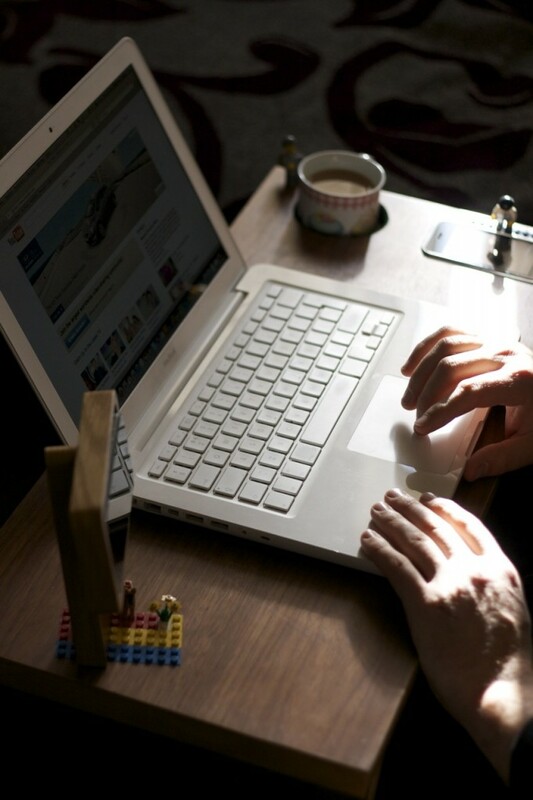 This laptop stand is a great way to use your laptop from the sofa, in bed or on the floor. 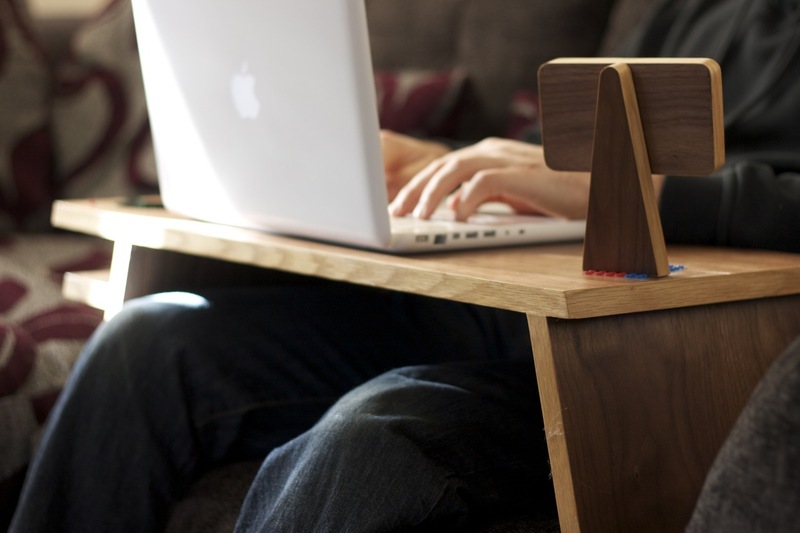 A great looking alternative to laptop coolers, foam trays etc. 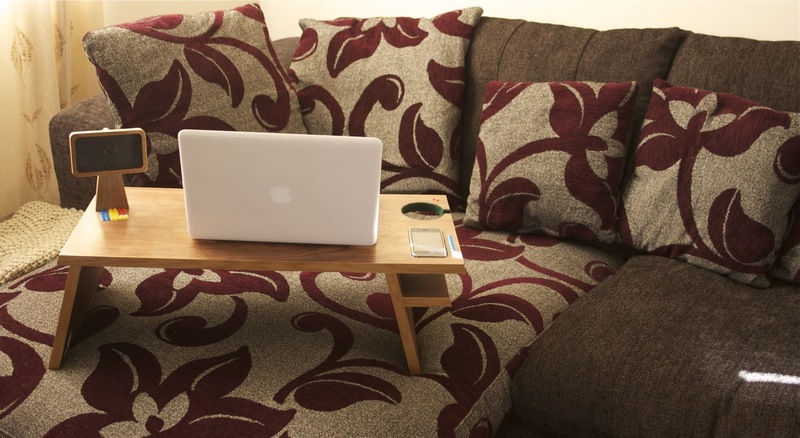 This piece of furniture doesn’t even touch your lap, its like your sitting at your office desk yet you’re at home on the sofa with a cuppa! 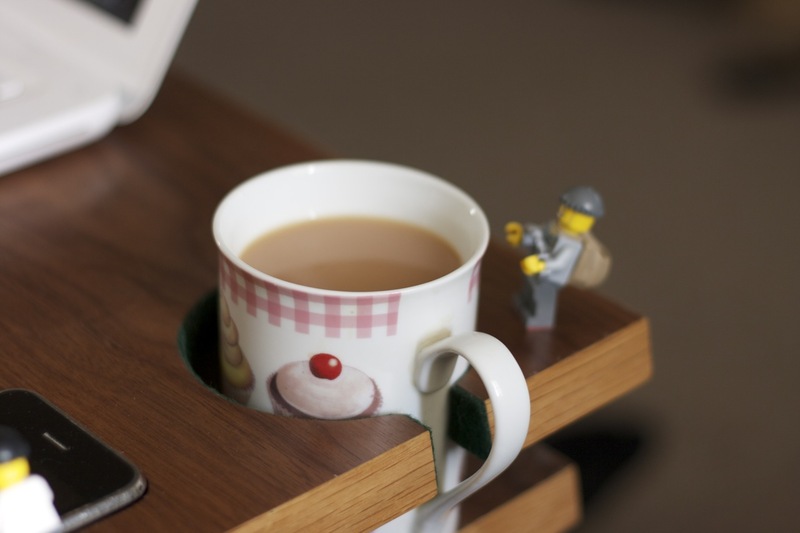 You will find yourself working from home more often! 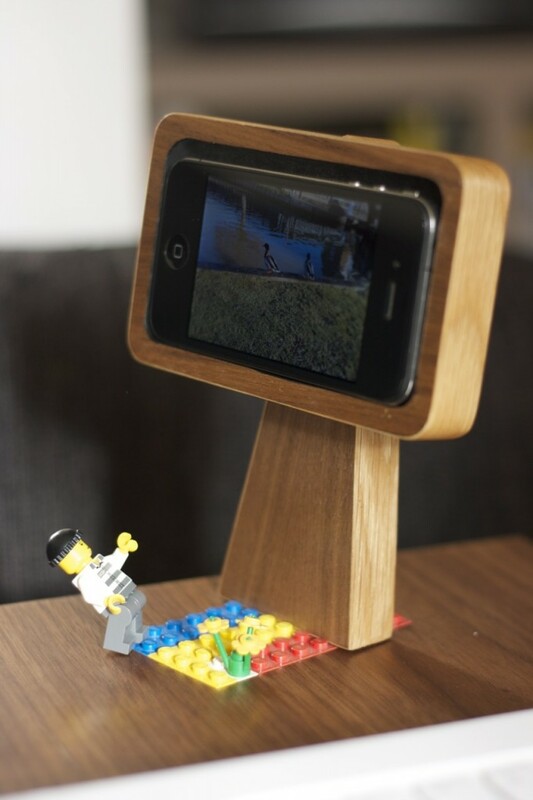 Made in american black walnut with an oak edge. 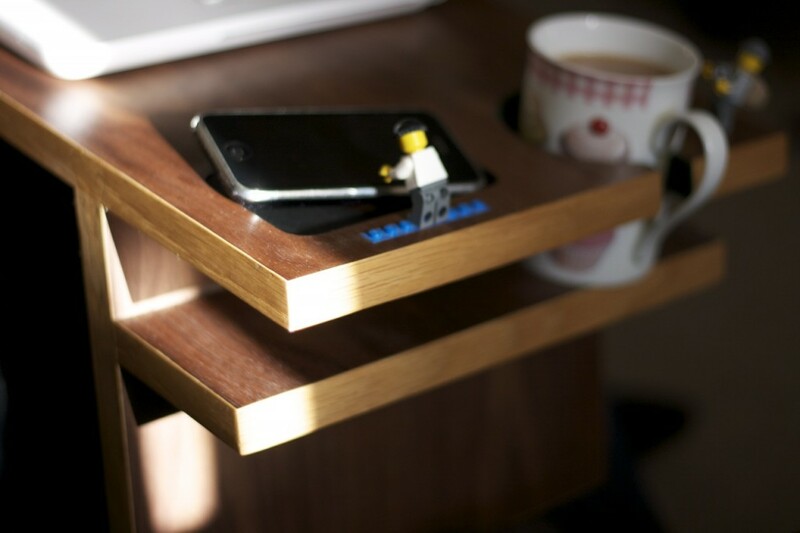 It can hold your smart phones, cup of tea and there is even space for your executive toys, what more could you want!